The idea of creating this CD recording came about in late 2010, when I was nearing the end of my musical journey in the United Kingdom. 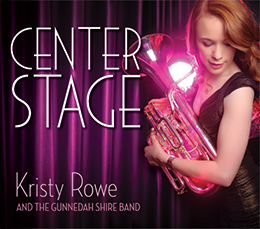 I was speaking to Jason Katsikaris about wanting to keep in touch with the brass band scene upon my return to Australia and he suggested making a CD recording with Gunnedah Band as a project to work towards, as well as a memoir of my time in the UK. As I started thinking more about the project and the music I would like to include, I decided that it would be great to have some new repertoire for baritone and brass band on the CD and that it might also be a good opportunity to promote the music of composer friends that I had made during my travels. And so came about the collaboration of many musicians and friends. Each work on this CD has significance to me; some have been composed or arranged specifically for the CD by friends, others hold a special place in my memories, and all have helped to shape me as a musician.